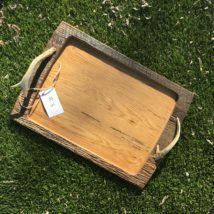 Our barn wood trays are made from 100 year old barn wood that we harvested from Pulaski, TN. 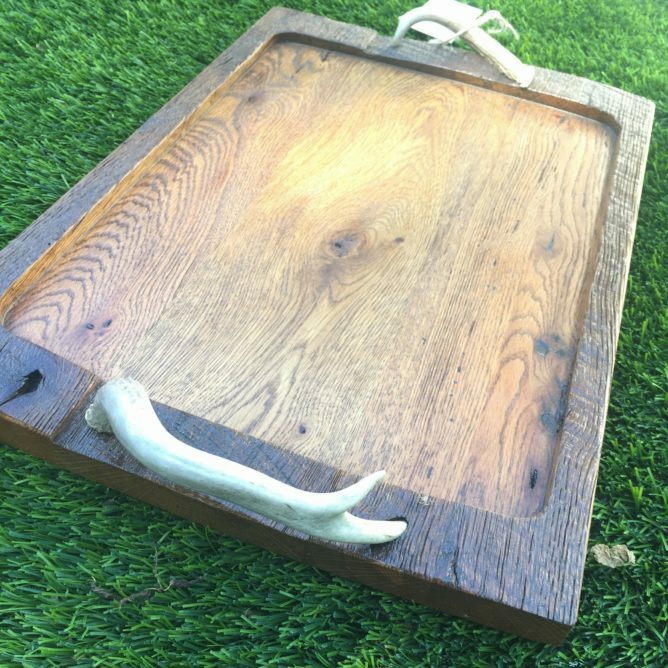 It has been expertly crafted by the talented woodworker Todd Boyce of The Porch Company. 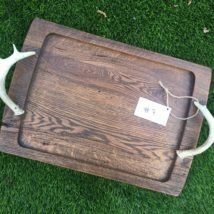 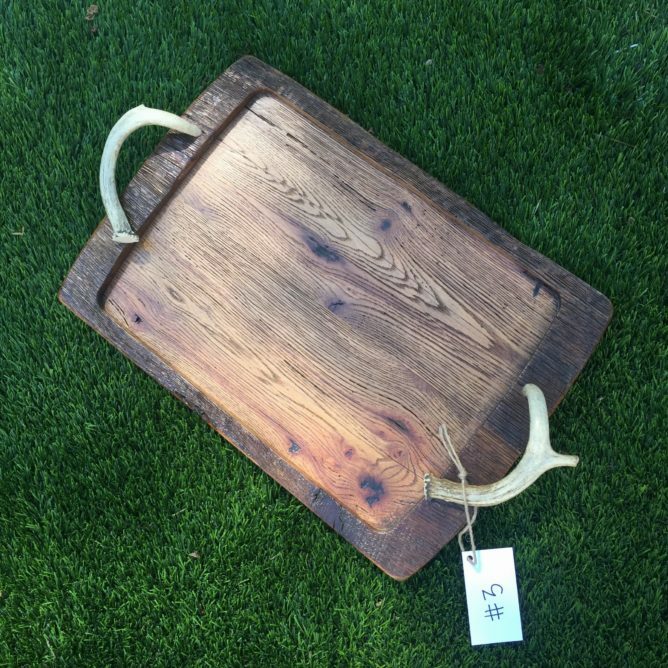 The handles are made from polished deer antlers, and the finished outcome is a beautiful rustic tray that can be used for décor or for hosting. 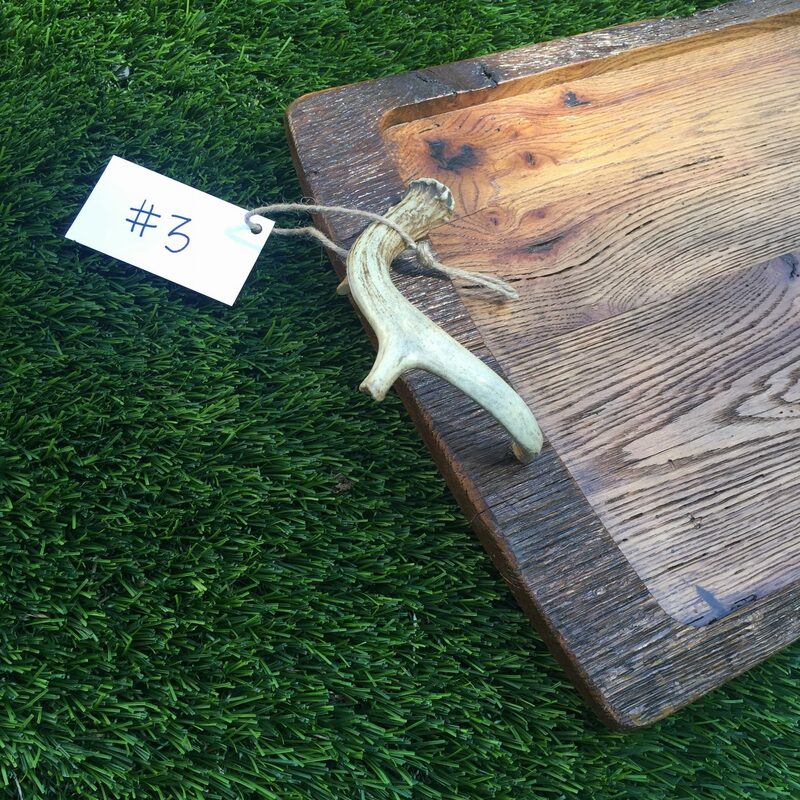 And to top it all off – it is made in the U.S., right here at our shop in Nashville! 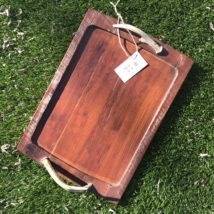 Tray dimensions are 20″ x 14″. 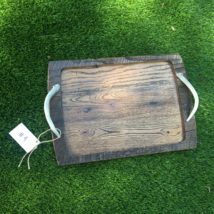 Pair these with one of our handmade barn wood tray stands for a beautiful side table or dinner tray.